No, I’m not building a real barn. That would be easy. I’m handy with tools and I’ve been known to use my truck in some unusually creative ways. This new barn is different. It’s a “website with an online membership group” but I think it’ll be more comfortable if I just call it The Barn. Most of us are a little spooked by technology but we’re always looking for more time with the horses. We’ve been running off to the barn for as long as we remember. Online programs are not a revolutionary idea; I have trainer-friends who use them beautifully. And I’ve also seen some that have ended up confusing people and damaging horses. Most intimidating were the programs with years of content, like a huge library a reader could get lost in. It would take a good while to build that kind of backlog, is it too late to even take on such a task? But over time, enough of you have asked me for videos, or emailed me questions that I’ve stayed up late answering, or asked me how to go forward with my Relaxed & Forward training approach after attending clinics, that I think it’s time. One thing I know about horses is that no matter how much we’ve accomplished, there’s always more challenge up ahead. Horses are the perfect antidote to a complacent mind or any possible retirement. My plan to build the perfect program didn’t start well. I bought a microphone with a wind cover that looked too much like a dead squirrel and scared the horses. I trashed a few tripods that apparently hadn’t been tested in prairie wind and got even more sand in my camera than usual. On an up-note, I almost succeeded in learning to use editing software without becoming a daytime drinker. For those of you who have been reading along for years, now you’ll hear my actual voice. I’m told I sound just like myself. Weirdest of all, I asked for help. Aren’t most of us better at offering a hand than asking for one? So, after gathering ideas I’d been pondering, I asked friends and clients for their thoughts and inspiration for The Barn. That’s when it really caught fire; I’m so grateful to all of you for the input. Finally, I hired help to cobble all the ideas together. 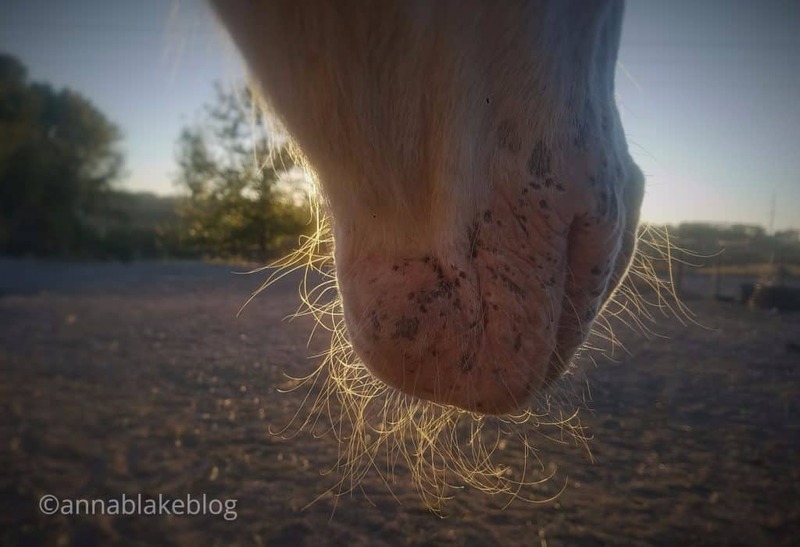 “Do we really need one more online horse training program?” In a word, no. Horses are perfect. On the human side, there is always more to learn. We’re on the cusp of a new understanding of communicating with horses that’s incredibly exciting. Science is proving what affirmative trainers have believed for centuries; we’ve put too much importance on dominance training methods. Horses are intelligent and we’ve underrated the need for our own flexibility and spontaneity. Just like classical trainers have always said, it’s us that need to change. you believe training is a creative process. you want inspiration from a group of like-minded horse people. you eventually want to know everything about horses, especially if it takes a whole lifetime. Wouldn’t it be ironic if, after industrialization put horses out of work, technology might circle around and improve their lives? Well, that’s my hope. Change happens when enough of us come together advocating best practices in the care and training of horses. But change is that thing we desire and fear in equal parts. I’ve heard from so many of you worried that there will be a loss, that my blog will disappear, or that I’ll go off the deep end and start selling gimmicks. We’ve all seen people change as businesses grow, and what attracted us to them in the first place gets dumbed down to mass appeal mediocrity. Dear Reader, I love this comment and you know that I appreciate bluntness. Thank you for your honesty. And yes, I do march to a different beat. (Some call it having bad boundaries.) I take pride in that and I have no intention of changing. Why would I? I get such confidence from the horses I work with that I actually think I’m charting a new course rather than following others on a repetitive path. But keep an eye peeled and let me know how I do. Most of you know me from reading my blog. Nothing there is changing, it will post twice a week ongoing. They will have to pry my keyboard from my cold, dead hands. I won’t stop and the blog will always continue to be free to all. I made that deal with a special horse, to pay a debt I owe. He’s the first thing you see on the new website but if you want a little more than the blog, make your way to The Barn page. Be warned; we expect you to pitch in and help. ← Barn Raising this Friday! Hey, Leslie. Thanks for checking on us. Hope you’re well. My barn). Past experience has not made it worthwhile to “study and cogitate” because of various off-putting styles. So far your style is easy and accessible because casual and conversational. But for me, less is more so I can ponder and absorb. Now, being an inveterate non-techie, how the heck do I sign up?? I’m so excited for this new branch of your programs- I’m here and will continue to be in your cheering section! Thanks, Brianne, and welcome. I think it’s going to be fun! Thanks, Cindy. Things have been a bit hectic here, but searching, I can’t find an email. Please resend to me at ambfarm@gmail.com. Sorry!